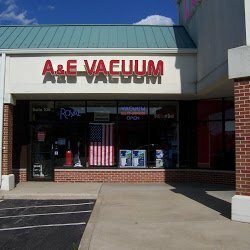 A & E Vacuum is a family-owned independent vacuum retailer serving the Chicagoland area. We opened our store at 2124 W. Galena, Aurora, Illinois on February 1, 2001. Our mission then as now is to offer the best prices on the best vacuums and to provide our customers with outstanding service before and after the sale. We don't have a huge advertising budget, so we rely on referrals from our satisfied customers who often times become our friends. Our prompt and professional Central Vacuum Systems sales, service and installation to both new construction and existing homes makes us one of the top dealers in the state . We also carry new vacuums, air purifiers, cleaning products as well as a full-line of parts and accessories. When you buy a new vacuum from A & E Vacuum, you’ll receive more than just a guaranteed low price. Each new vacuum cleaner we sell is entitled to a free annual cleaning and inspection to keep it running like new for years to come. Dealing with our staff of sales professionals is a premier experience in friendly service and customer satisfaction. When you combine these values, why would you buy a vacuum anywhere else? Call or visit A & E Vacuum today to experience the difference. We service the communities of Aurora, Naperville, North Aurora, Montgomery, Oswego, Yorkville, Batavia, Geneva, Plainfield, Elburn, Sugar Grove, Plano, Sandwich, Somonauk, and surrounding areas.